Stockholm/Paris, 25 September 2018. 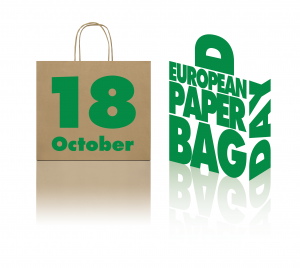 “The Paper Bag” platform, Europe’s leading kraft paper manufacturers’ and paper bags producers’ association, springs into action by launching the VERY FIRST European Paper Bag Day on 18 October 2018. The annual action day aims to raise awareness among consumers about paper carrier bags as sustainable and efficient packaging of the future that contributes to fighting environmental pollution. “The Paper Bag” is looking forward to the first event in 2018.